Have you seen the Google Chrome OS tablet? Leak has revealed the upcoming Google Pixel Slate which seems so cool but couldn't give exactly the screen display size for now. As we'll be wrapping all story about Pixel 3 and 3 XL tomorrow here another tablet flagship coming from Google again which we've been expecting some cooked up story about it for long but finally we got few tips to give you guys. 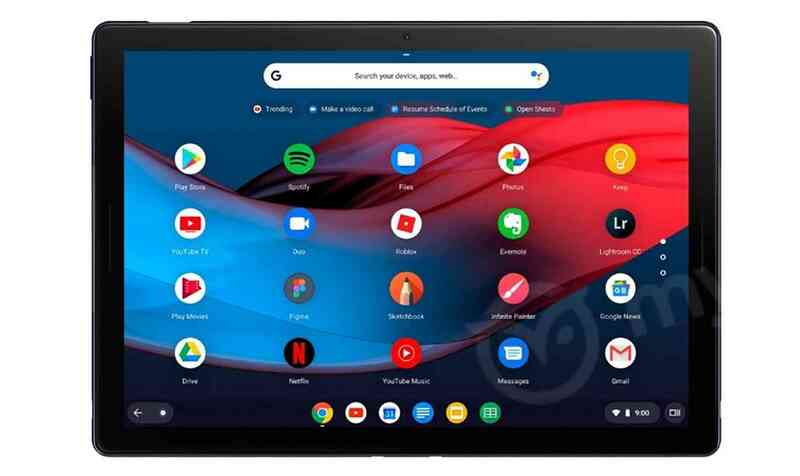 The Google Pixel Slate is spotted with single front-center camera and also single rear camera spotted at the top-right corner with Google 'G' logo at the left corner of the back side. Other noted features are fingerprint reader, a USB-C port, power button and possibly front-facing speakers as rumoured. 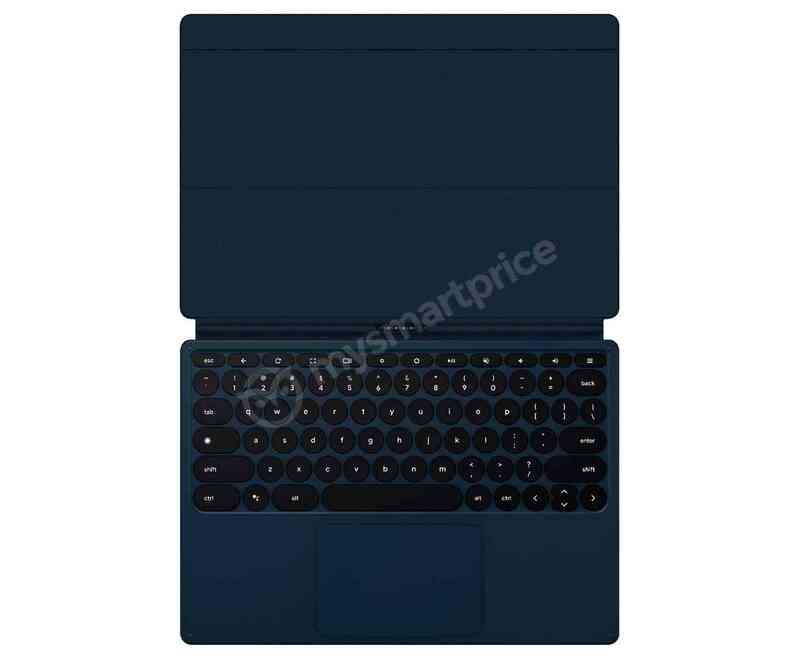 The two Pixel Slate images shared by mysmartprice has revealed coming with two major accessories, the first accessories is the Slate itself as spotted in the image above and the other one is the fold-able pouch with keyboard accessory that has circular keys and a touch-pad which can be use like laptop. Also a Google Assistant button spotted between the left Control and Alt Keys. Google Pixel Slate is a latest high-end upcoming tablet, but for now there's no much on it spec details and price for now.